It's a bird! It's a plane! 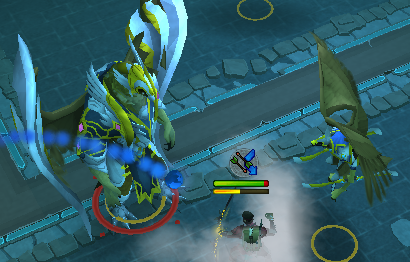 It's Armadyl's general, Kree'Arra! Thanks to Renegaderp for writing our new Armadyl Solo Guide, which contains up-to-date information for killing Runescape's version of Big Bird. Our last poll that was set up is over. Return to a 2004-2011 look won with around 45% of the vote. The keep the current look option only received around 20% of the vote. So, you guessed it, we'll be looking into changing the appearance, as well as possible other upgrades. Have any ideas for what you want to see in the site? Let us know. We have also set up a new poll with the question: What revealed at Runefest most excites you? Vote today!